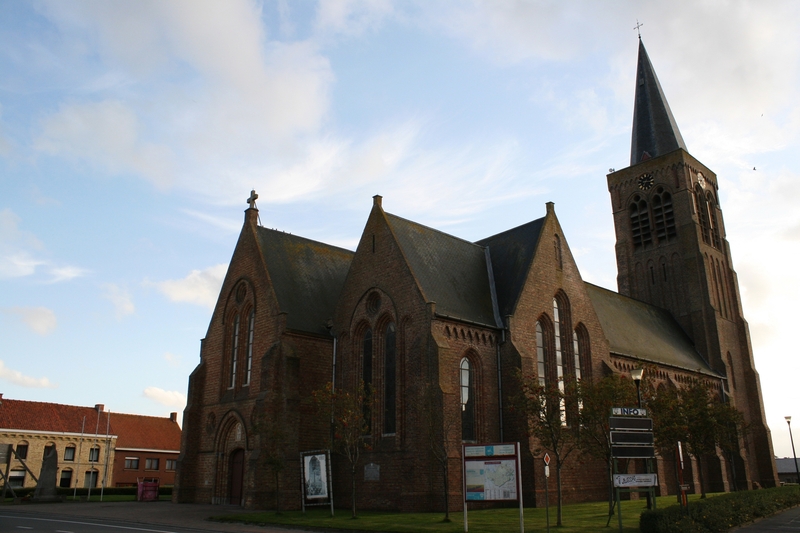 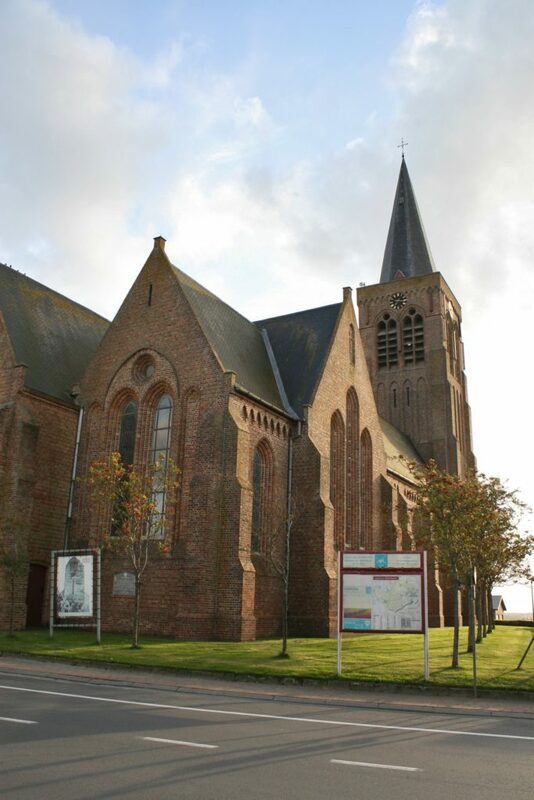 While we’re in the area, this is the small town of Klerken (Clercken, as was), situated about three miles north west of Houthulst Forest, half way between Houthulst itself and the town of Diksmuide, where we paid a visit a while back. …it would have been remiss of us not to stop and pay our respects at the war memorial that stands outside the church. 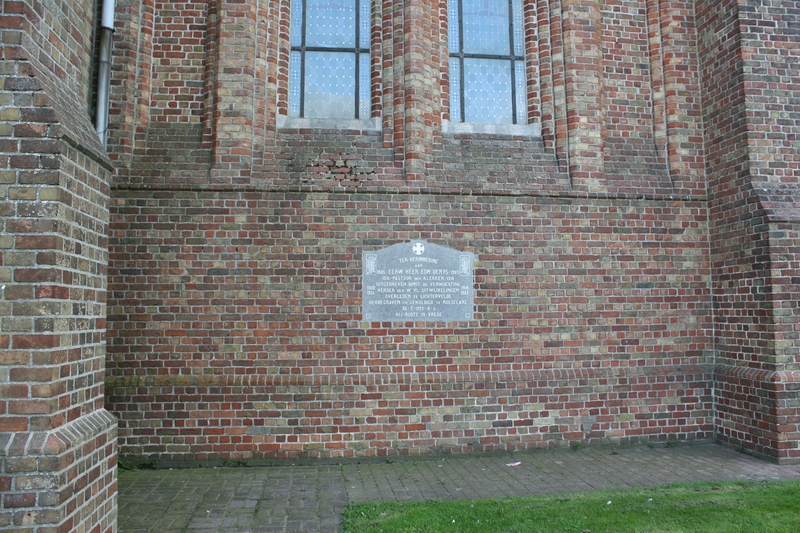 …with five Second World War casualties added at the bottom on this side. 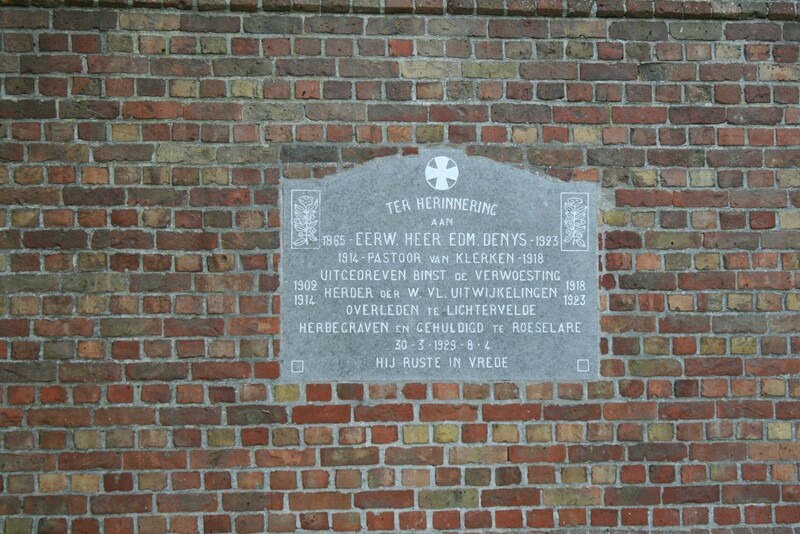 …but this gentleman was the Pastor in Klerken throughout the Great War, and, as such, this plaque to his memory has every reason to be included in this post. 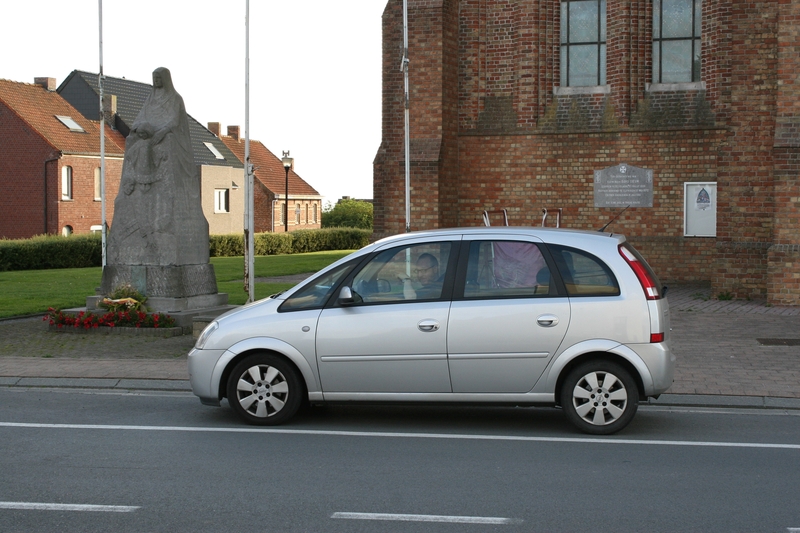 Remarkably clean car, Baldrick. 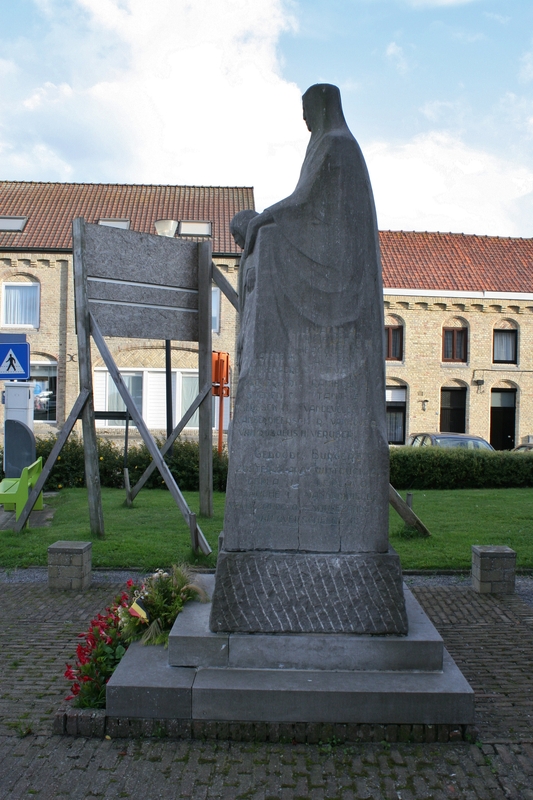 Which proves that I don’t drag you down muddy tracks and across half-flooded fields on every trip. 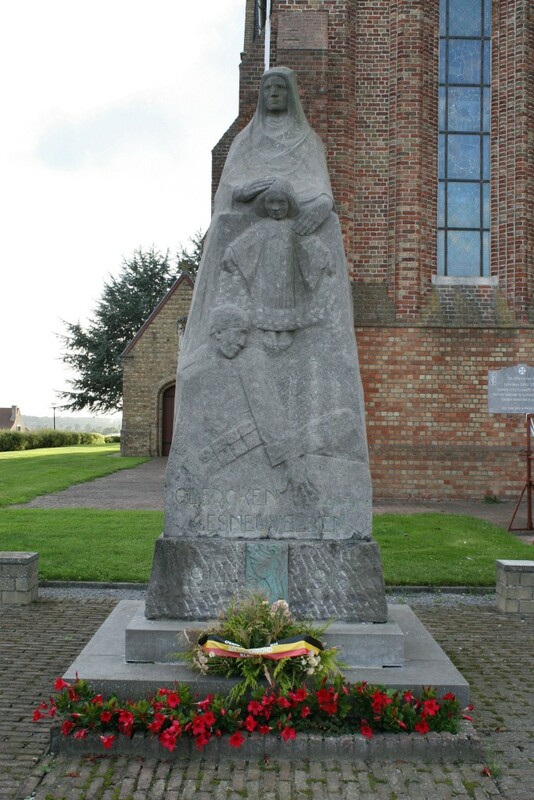 Next, back to French Flanders, where we visit the dead of the Battle of Fromelles. 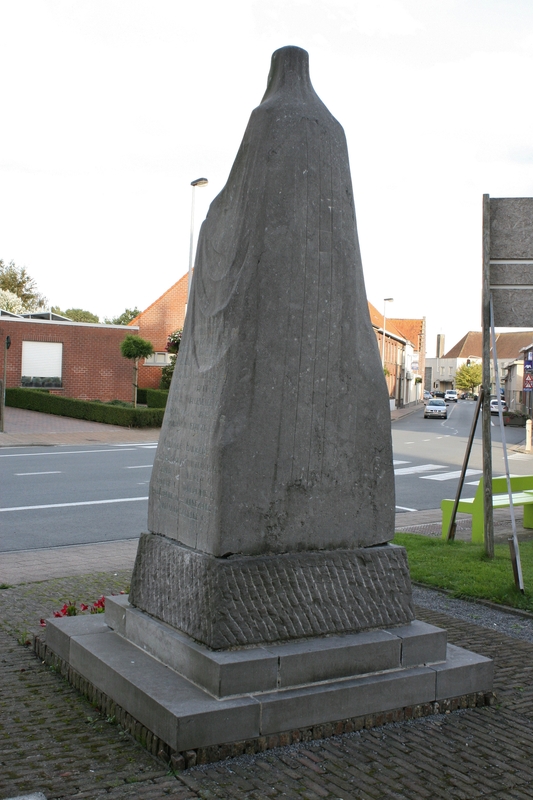 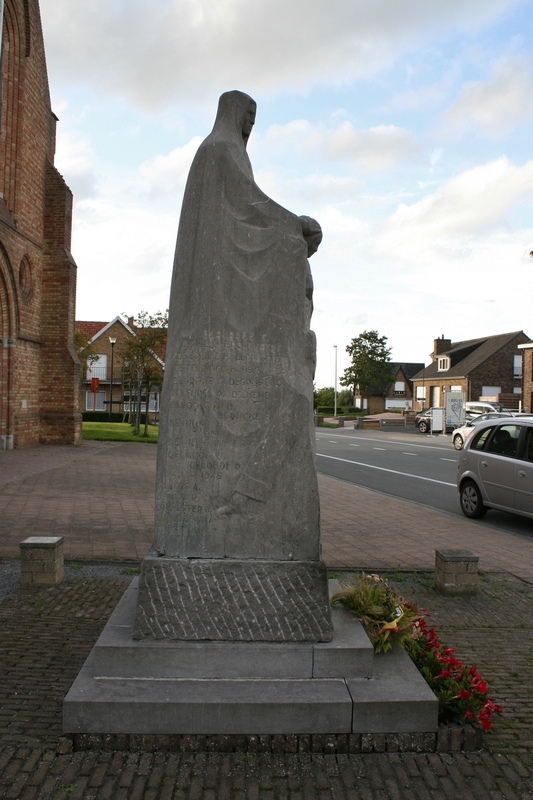 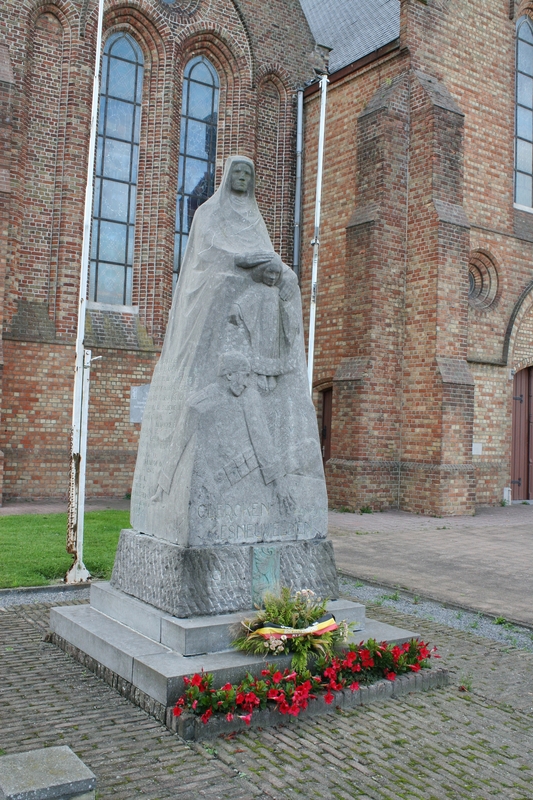 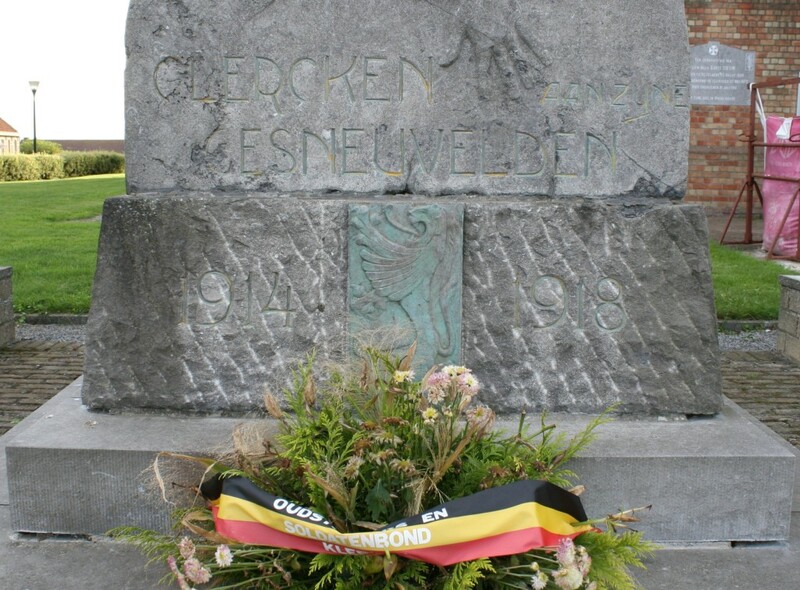 This entry was posted in Belgian War Memorials, The Belgian Sector. Bookmark the permalink.